When you first get your hands on a Keurig the first thing everyone does is start experimenting with a handful of K-Cups that you find in your local grocery store. That’s what I did at least! 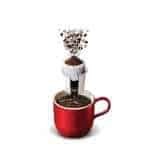 After a while though you start learning how convenient Keurig coffee can be, especially when all you want is a single cup of coffee and you don’t have or want to spend the time needed to make a good cup of pour over coffee. Most people understand that even the best Keurig or off-brand k-cups are never going to make coffee as tasty as other methods because, well, the coffee in the cups isn’t fresh. For many people the volume of grind in the cup isn’t enough either. Even still many k-cups are worth it and if you brew 6-8oz cups instead of 10-12oz cups your coffee is going to pass the test for the vast majority of coffee drinkers. What’s super cool about Keurig coffee pod machines though is that they are good for making many things other than coffee. So long as hot water goes through the pod the resulting cup can be just about anything. Teas are commonly found in K-Cups as well as hot chocolate and even soups! We have taken the time to curate many of the popular K Cup varieties and have dedicated pages on our site to them. 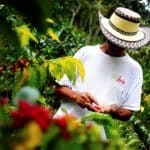 If you are looking for the best K-Cup coffees then we suggest you look at our pages on organic k-cup coffee and Kona K Cup coffee linked below. Everyone who tries 100% Kona coffee loves it! It is so much better than 10% Kona blends that are so easy to find for rock bottom pricing. For the real 100% stuff, packed into Keurig K-Cup coffee pods, these are the best options to choose from. They aren’t the cheapest but it is really great tasting coffee. If you’re going to be drinking good coffee you had better be drinking organic coffee. Most of the best brands out there are organic anyway so here they are along with a few other alternatives, some of which are a bit cheaper on a per/unit basis. Looking for More Great K Cups for Your Keurig Single Serve Coffee Maker? 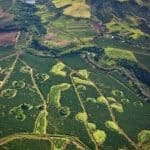 Here’s a Bunch of Unique K Cups you Might Like to try. 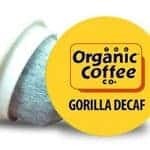 In addition to those articles listed above we have sorted through our reviews of many different K-Cups and placed them in the following tightly curated pages. Enjoy the hunt for your next favorite! 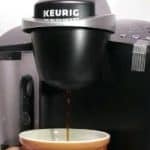 These K Cups are the best low acid options available today for all of your k-cup coffee brewers made by both Keurig and third party manufacturers. There’s a surprisingly large number of low-acid specific brands out there but there are also regular brands that make regular k cups that also just happen to be lower acid alternatives. We help you identify the best ones here. 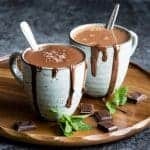 These hot chocolate k cups are going to make your home Keurig brewer so much more popular with everyone in your family! If you are like me you’re always finding it more trouble than it’s worth to make hot chocolate, my least favorite part is breaking up the chocolate power chunks in the water trying to get it to blend together smoothly. Keurig makes this a simple process to actually tell your kid, “come inside for a cup of hot cocoa! 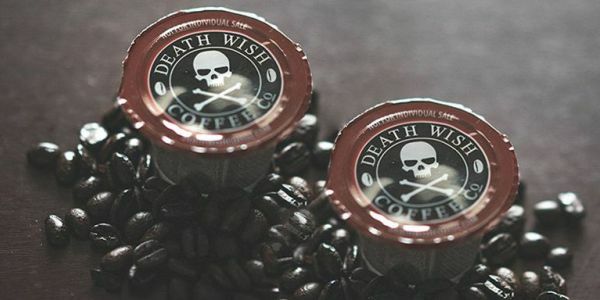 You just insert one of these k-cups and hit the brew button! Awesome! If you’ve ever made Chai tea on the stovetop you know it can take a while to do it right. 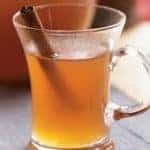 With Keurig however it is easy to get something very close to traditional Chai without hardly any of the production time. There are actually a surprising amount of Chai latte k-cups to choose from and many of them are pretty good too. See this page for a list of our top 9 Chai k-cups. Keurig doesnt just make great coffees and teas, you can also get great hot apple cider conveniently available in standard k-cup portion packs. These k-cups make it super easy to make a single cup of apple cider on demand in just a minute or so. Here we’ve listed our favorites with some comments on each options. There’s no doubt that every Keurig user goes through hundreds, perhaps thousands, of little plastic cups every year and they take up a lot of space. 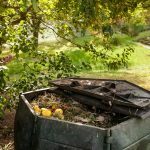 These days there are a lot of companies out there coming up with compostable and biodegradable solutions to the k-cup. Some of these k-cups actually taste better than regular coffee pods too because they don’t use plastic. If you are a decaf coffee drinker then you’ll love just about any of these options. Decaf coffee is often stigmatized as not as good as full caf coffee but we’ve found that these k-cups are good enough to rival most k-cups any day in terms of taste and body… and with a K-Cup you’ll never have to rationalize making a full pot of decaf coffee in the afternoon or evening – just make a single cup! 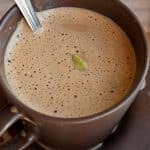 Half Caff coffee is less common than fully defcaffeinated coffee but many people swear by it as the best way to get good tasting coffee without having all the caffeine. Decaffeinated coffee doesn’t ever taste as good but when cut with full strength grind the taste is comparable. Whether you are trying to cut back on your addiction, limit jitters, or wean yourself a bit from caffeine these half-caf k-cups are good options you should consider. Not everyone drinks coffee all day long. 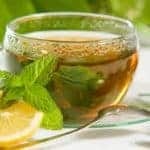 In fact a lot of people like to switch to drinking green tea in the afternoon because it is so good for you and because it doesn’t have as much caffeine in it as coffee. Around here we love that k-cups make it so easy to get good green tea in just a minute or so. Here are our favorite green tea k-cups on the market today.